ANUPGCET 2019 Entrance Exam Timetable / Schedule / Exam Centers are available soon on it official website anudoa.in . 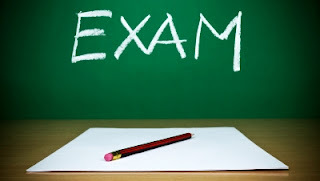 Last year the exams are held on 5th, 6th May. This ANU Releases Tentative schedule for ANU PG Entrance Exam 2019 from 1st May to 3rd May 2019. All ANUPGCET-2017 Examinations scheduled from 01-05-2019 to 03-05-2019 will be conducted in Guntur, Ongole and Vijayawada only. ANU PGCET-2019 Hall Tickets - ANUPGCET-2019 Entrance Hall Tickets are now available. The exams are held from 1st May 2019 to 3rd May 2019. Last year the exams are held from 5th May to 7th May 2018 and results are declared within 3 Days. ANUPGCET-2019 Entrance Hall Tickets are available from 29.04.2019. Stay with us for all updates about PG Entrance Exam.